Posted by DN_Kalvothe on Jan. 19, 2017, 4:26 p.m.
Be one of the first to discover the world of RiME! Posted by DN_Kalvothe on Jan. 4, 2017, 5:30 p.m. 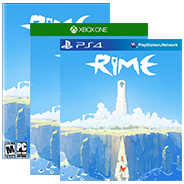 Welcome to RiME. The adventure begins.